This is a VERY PRETTY Light pink Cats Eye & Crystal Bracelet. 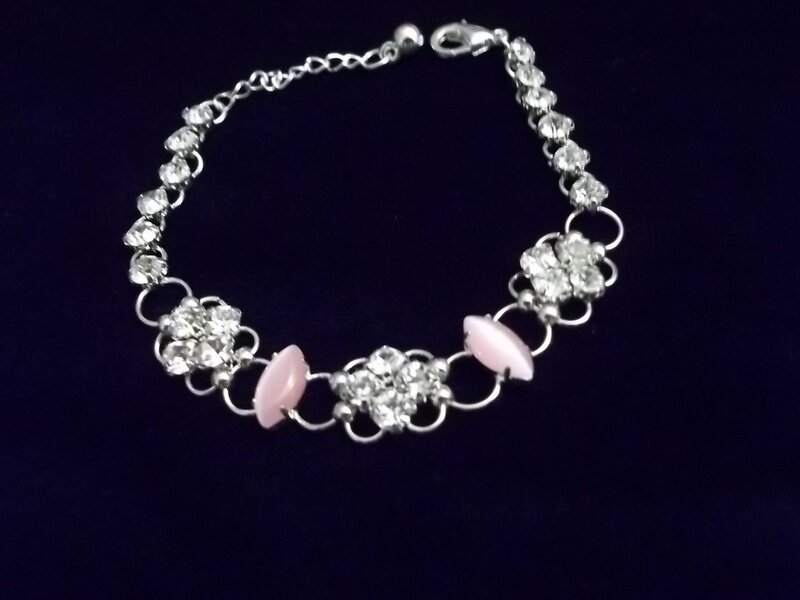 This bracelet has two pink cats eye alternating with clusters of crystals Completing the bracelet there are six single crystals on either side. Very popular design. This bracelet eye catching and has a high polish. Must see!! Very noticeable and dainty!! Item is shipped within three business days of payment approval. Please allow ample shipping time depending on the item destination, your patience would be appreciated :) We offer free shipping to most countries .If you have ANY problems, concerns or questions please contact us for a prompt response. Once the item has arrived we would appreciate Your feedback and rating. As we are an online store We depend very heavily on customer satisfaction and good ratings. Before leaving negative or neutral feedback please contact us.